I am having trouble identifyingt his plant and as you can see it is out of control! I want to repot and cut it back but do not want to harm it. Thank you! I will put it outside and see what happens. 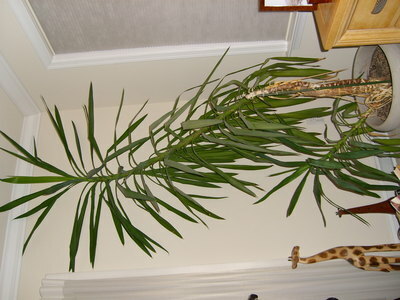 It has grown too tall for the room that it's in. Any suggestions on how to cut it back?